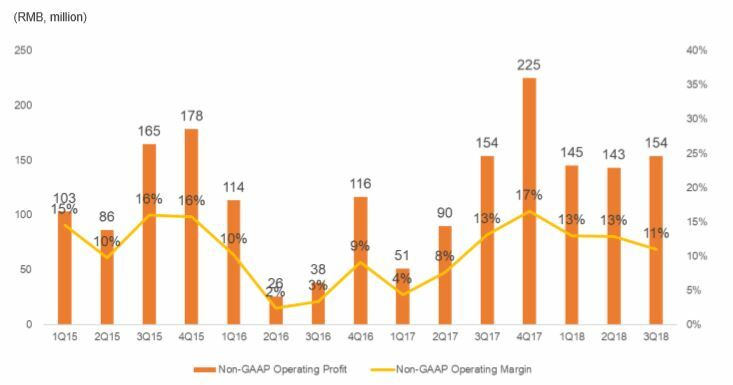 As we can see total revenue have been growing nicely and are also fairly stable. 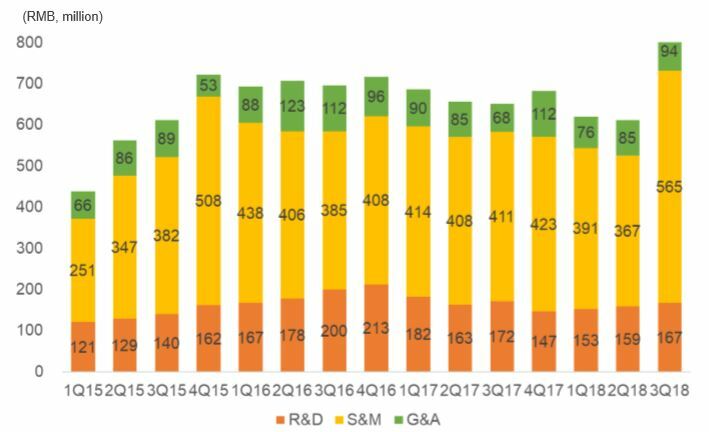 Digging a bit deeper we can see that utility product revenue is contracting in overseas market, whereas China is growing. Mobile Games and LiveMe are both performing strongly. Chinese business culture is very much depending on Guanxi. In my view Guanxi is also expressed in the intricate networks of ownership stakes in other firms. Trying to for example summarize all the ownership stakes Tencent made in companies over the years is not an easy task. To really properly do your due diligence, you end up looking at a lot of smaller companies that the large companies hold a share off. It’s common to find long Sum Of The Parts valuation tables when sell side research values the bigger companies. This is a case when sell side research actually is pretty useful, because it’s not easy to untangle all of these stakes in other companies, especially since most of them are unlisted. 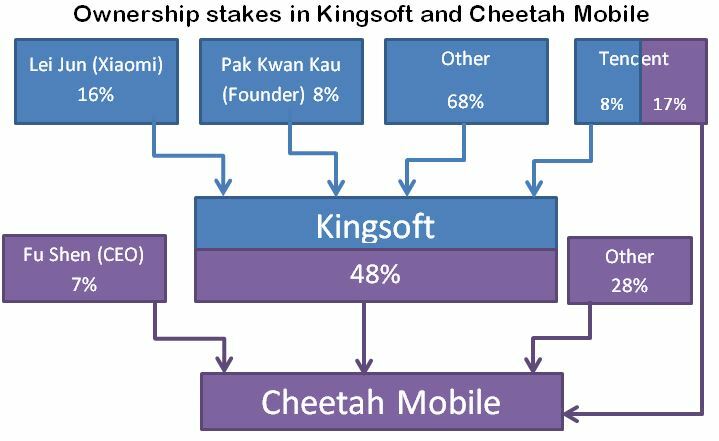 The investment case of Cheetah Mobile came from such a due diligence process on Kingsoft. As in shown in below ownership pictures, Cheetah Mobile has strong links to the much larger companies Kingsoft, Tencent and Xiaomi. The last two probably needs no further introduction, since they are two of the largest Hong Kong listed Tech-companies. Kingsoft on the other hand is perhaps less known outside of China/Hong Kong. 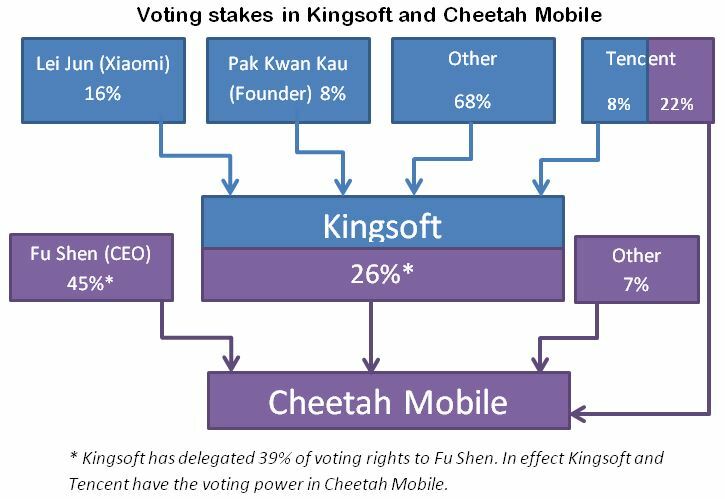 Since Cheetah Mobile has two share class structure, where A shares have 1 voting right and B shares 10 voting rights, the actual voting power in the company looks quite different than the ownership structure. The ADS that are traded on Nasdaq are the A shares. Cheetah also has close ties to recent tech giant ByteDance (creator of TikTok). Cheetah was an early investor of Musical.ly and held approximately 17.4% of equity interest when Musical.ly merged with ByteDance. In 2017 Cheetah also sold it’s News Republic platform to ByteDance for US$86.6m. Through these transactions Cheetah took payment partly in shares and therefore retains a minority stake in ByteDance. In Q4 2018 Cheetah sold a portion of its stake in ByteDance for US$68 million. This resulted in a disposal gain of US$43m and a fair value gain of US$43 million for the remaining stake in Bytedance. Clearly the Musical.ly investment and News Republic platform have created a lot of shareholder value for Cheetah. The live streaming platform LiveMe raised US$50m from ByteDance in a series B financing. Presented in a another way, here are the key people in Kingsoft and Cheetah, again showing the strong ties to Tencent and Xiaomi. 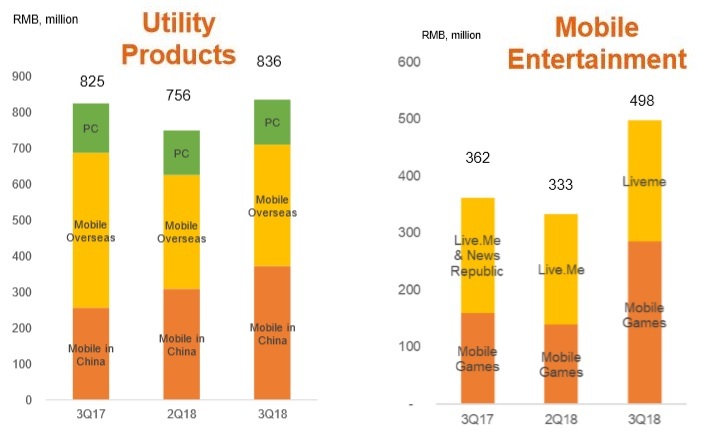 What got me interested in Cheetah Mobile the first place was LiveMe’s extremely strong position in live streaming in the USA. On the back of my YY investment I come to understand the live streaming space very well. LiveMe is the clear market leader in the USA and the tipping model of streaming has in my mind a long runway of growth over there. If this was a separately listed company with a similarly reasonable valuation, I would have invested right away. One can compare with YY’s Bigo Live which has a very high valuation, being large in markets with much lower spending power than the USA. But there is really no point to dive deeper into this investment, I have decided to sell my holding. My initial look into this relied on that the majority owners would never let something like this go on their company. In other words, I was not expecting account issues as part of my investment case. I’m still not sure what actually is going on. Although I agree with very little in the short thesis, there is enough there to doubt my investment case. Combined with the click injection suspicions, which also does not seem to be totally unfounded, the stock becomes non-investable to me. This was a speculative holding, where I did not dig deep enough before pulling the trigger and investing. I’m lucky coming out of this around flat, it could have been much worse, since I hadn’t fully understood all backstories of this company. I still think that there is a good chance, that this company proves everyone wrong, goes up with a few hundred percent. Or more likely just get bought up buy these Chinese giants who already own majority of the company. And then we will never find out the truth. I won’t stick around to find out though. I sell my full holding as of close today.